Pr.CIT-8 vs. Softline Creations (P.) Ltd.
1. The revenue is aggrieved by the order dated 10.02.2016 of the Income Tax Appellate Tribunal (ITAT) which confirmed the Commissioner of Income Tax (Appeals)’s order [hereafter “CIT(A)”]. The CIT(A) had ruled in favour of the assessee, i.e. 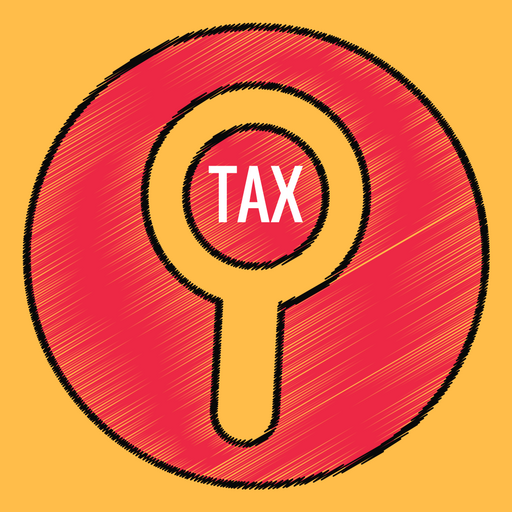 the additions under Section 68 of the Income Tax Act, 1961 [hereafter “the Act”] were unwarranted. 2. The short facts are that the assessee was subjected to re-assessment for Assessment Year (AY) 2003-04. The re-assessment was based upon a statement made by one Mahesh Garg, who is said to have alleged that some of the companies which he dealt with were bogus. Taking aid of that statement, the Assessing Officer (AO) proceeded to question the assessee with regard to the application money in respect of issue of shares and premium thereon for the relevant AY. In the course of re-assessment proceedings, the AO, based upon the materials furnished, concluded that the assessee had not discharged the initial burden placed upon it under Section 68 of the Act and had not established the genuineness of identity, of the transaction or the credibilities of parties who had invested. He, therefore, directed addition of Rs.78 lakhs. The AO’s conclusions were based upon his deduction that the share applicants were bogus entities, which he arrived at because of assessee’s omission to produce the Directors of such share applicants/companies despite being called upon to do so. The CIT(A) reversed this addition; that order was confirmed by the ITAT. 3. It is urged on behalf of the revenue that the AO’s order, additing the amounts under Section 68 of the Act was justified in the circumstances. Learned counsel emphasized that to prove the identity, genuineness of the transaction and the creditworthiness of share applicants, it was essential for the assessee to produce the Directors as well as the source of funds of the share applicants since in the absence of these materials, the assessee could not claim to be aggrieved by the addition. 4. This Court has considered the concurrent order of the CIT(A) as well as the ITAT. Both these authorities primarily went by the fact that the assessee had provided sufficient indication by way of PAN numbers, to highlight the identity of the share applicants, as well as produced the affidavits of Directors. Furthermore, the bank details of the share applicants too had been provided. In the circumstances, it was held that the assessee had established the identity of the share applicants, the genuineness of transactions and their creditworthiness. The AO chose to proceed no further but merely added the amounts because of the absence of the Directors to physically present themselves before him. “6. This Court has considered the submissions of the parties. In this case the discussion by the CIT(Appeals) would reveal that the assessee has filed documents including certified copies issued by the Registrar of Companies in relation to the share application, affidavits of the Directors, Form 2 filed with the ROC by such applicants confirmations by the applicant for company’s shares, certificates by auditors etc. Unfortunately, the assessing officer chose to base himself merely on the general inference to be drawn from the reading of the investigation report and the statement of Mr. Mahesh Garg. To elevate the inference which can be drawn on the basis of reading of such material into judicial conclusions would be improper, more so when the assessee produced material. The least that the assessing officer ought to have done was to enquire into the matter by, if necessary, invoking his powers under Section 131 summoning the share applicants or directors. No effort was made in that regard. In the absence of any such finding that the material disclosed was untrustworthy or lacked credibility the assessing officer merely concluded on the basis of enquiry report, which collected certain facts and the statements of Mr. Mahesh Garg that the income sought to be added fell within the description of Section 68. 6. We are of the opinion that no question of law arises, having regard to the concurrent findings of fact. The assessee has, in our opinion, complied with the law spelt out by the Supreme Court in CIT v. Lovely Exports (P.) Ltd.  216 CTR 195. The appeal is meritless and is consequently dismissed. This entry was posted in Section 68 and tagged 387 ITR, Delhi High Court, In favour of Assessee, reassessment.